Hi there, Thank you for your message! You can download the Word file for free! You can just fill in ‘0’ in the blank space… Just let me know if you need any help! Cheers! When you fill in ‘0’ in the empty field, it shouldn’t ask you for your cc info. Please let me know if it doesn’t work..
Planning on having a tropical wedding? Have a look at this template with a frame of palm tree leaves, it looks stunning! 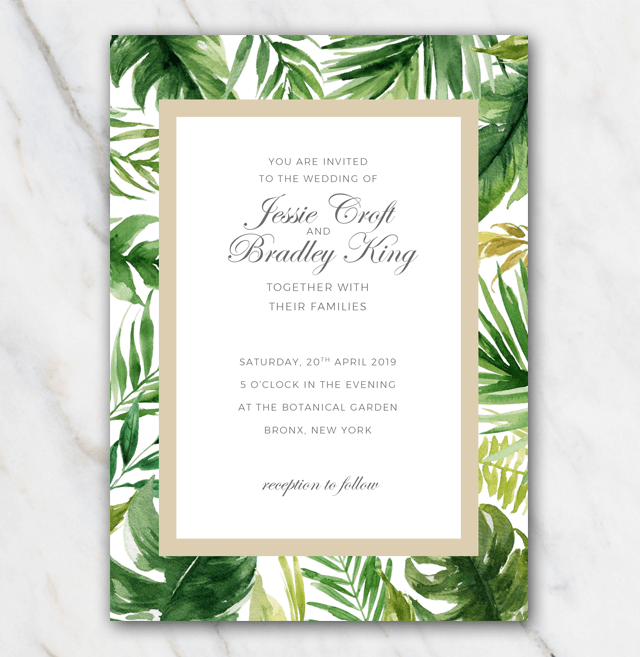 Looking for other tropical themed wedding invitations? Check out the overview page with all of the wedding invitation templates!